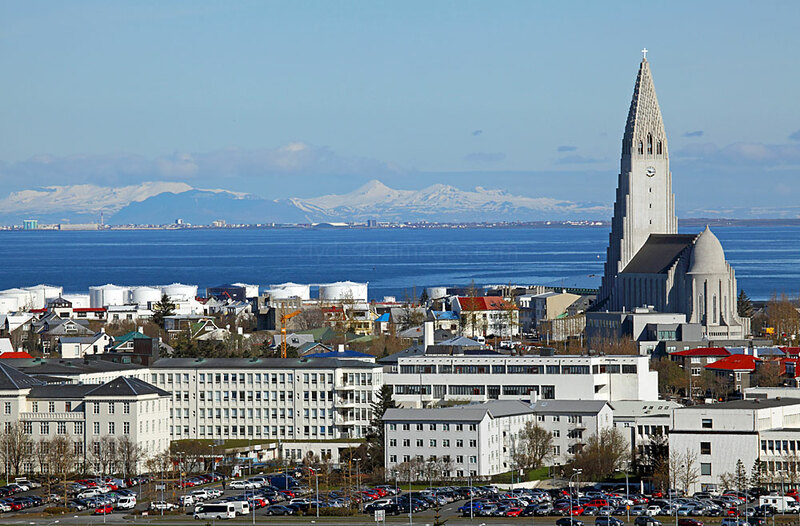 The first full day in Reykjavik was bright and breezy with excellent visibility, ideal for checking out the city's two best vantage points - the Hallgrimskirkja, the largest church in the country, and the Perlan. 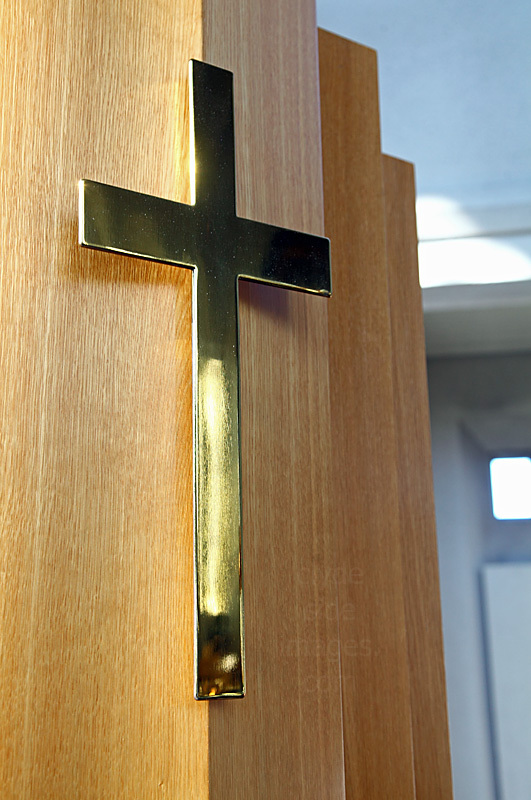 Work began on the striking structure in 1945, just after the Second World War ended, but the church took many years to complete due to the contract being awarded to a local family firm of builders. 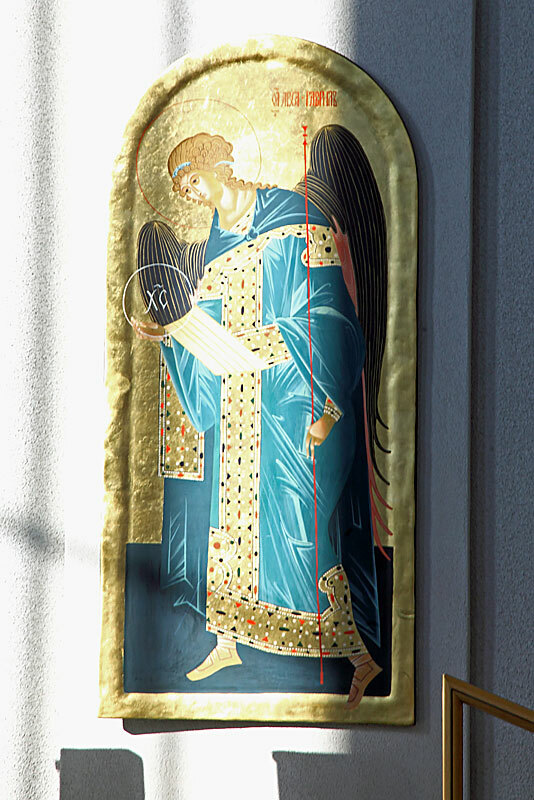 The building was finally consecrated in 1986. 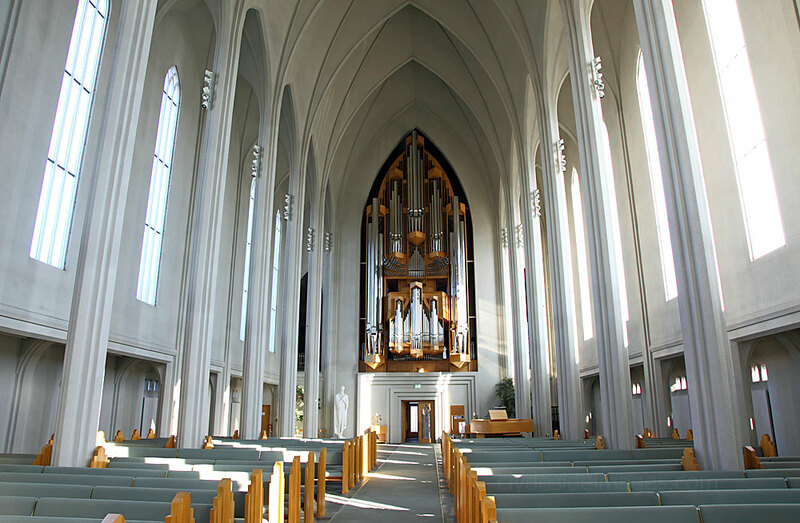 The church was designed by state architect Guðjón Samúelsson who was also responsible for the University of Iceland, the National Theatre of Iceland, and the Landakot Roman Catholic Cathedral in Reykjavík. 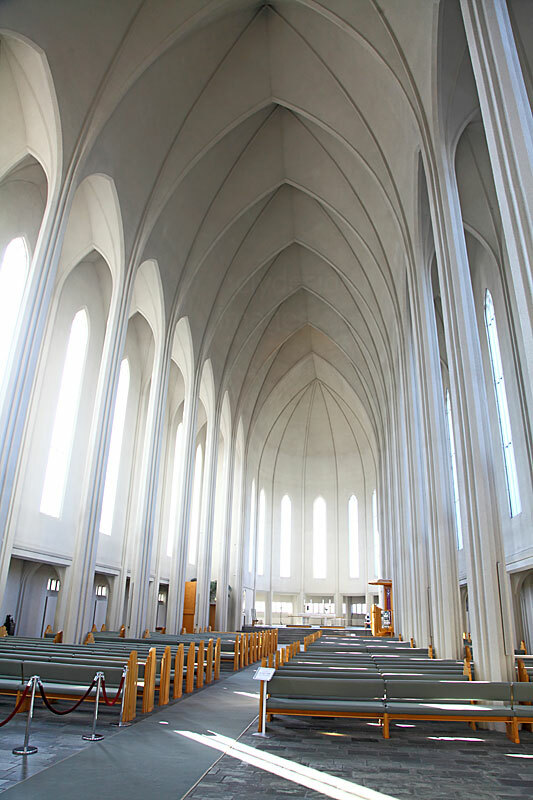 The plan was intended to make the church resemble volcanic basalt rock formations but public opinion on Hallgrimskirkja`s form is divided with some detractors comparing it to a space rocket or even a phallic symbol! 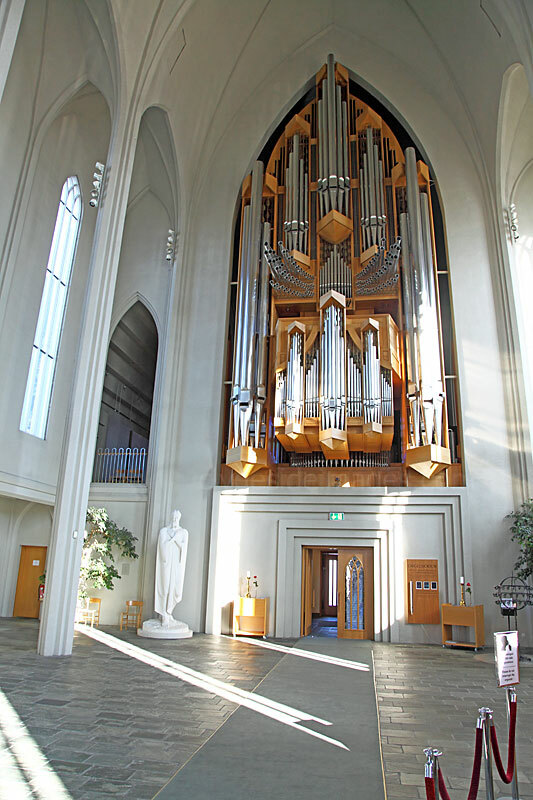 ​The Church of Hallgrimur was built in memory of poet and hymn-writer the Rev. Hallgrimur Petursson who died in 1674. 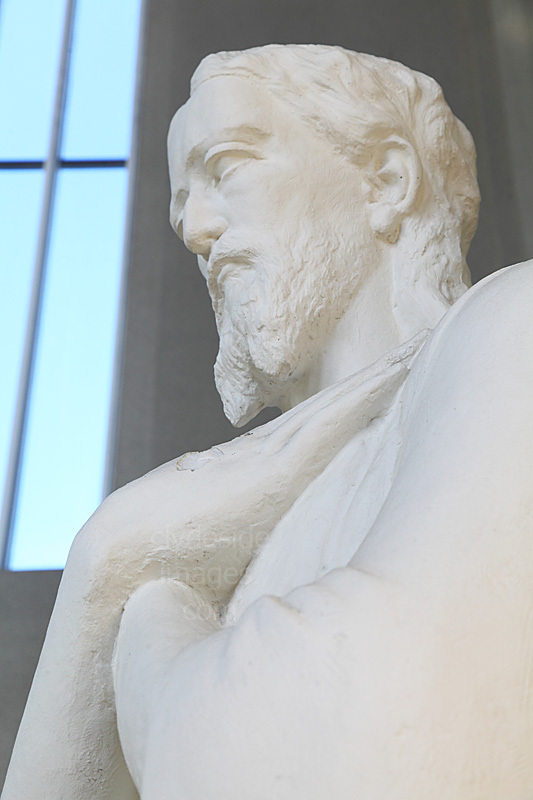 He spent much of his childhood in Iceland but went to Copenhagen at a young age to study. 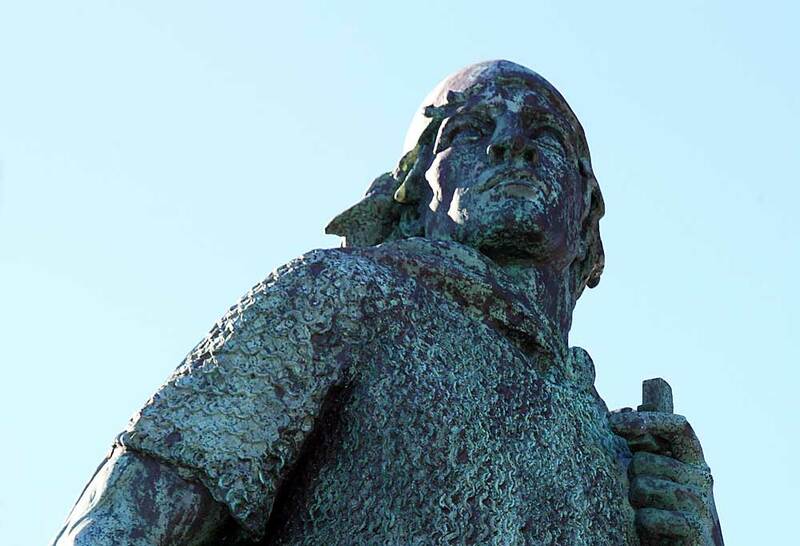 There, he met his wife who had been one of the Westman Islanders kidnapped by pirates in 1627 and taken to Algeria. Many were freed after the King of Denmark paid a ransom, and Hallgrimur was tasked with providing religious instruction on their return from captivity. He abandoned his studies and return to Iceland with his wife where he served for many years in the parish of Saurbaer in the west of the country. 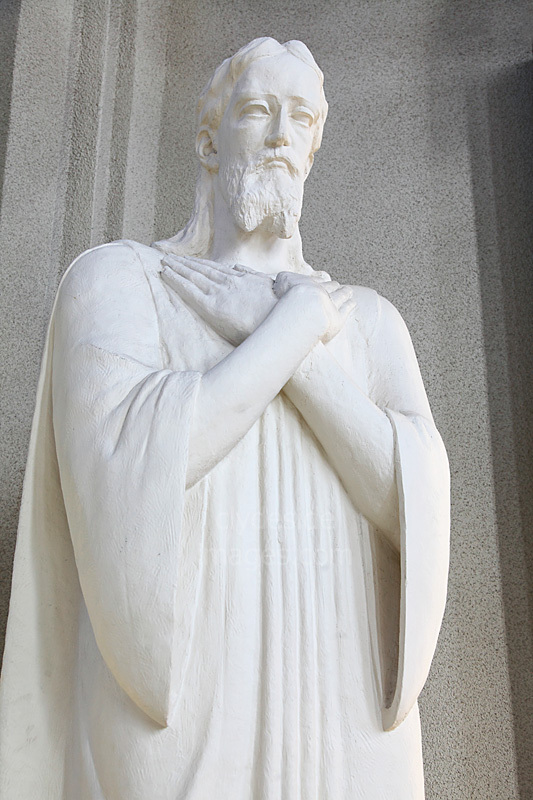 It was here that he wrote his best-known works, The Hymns of the Passion. 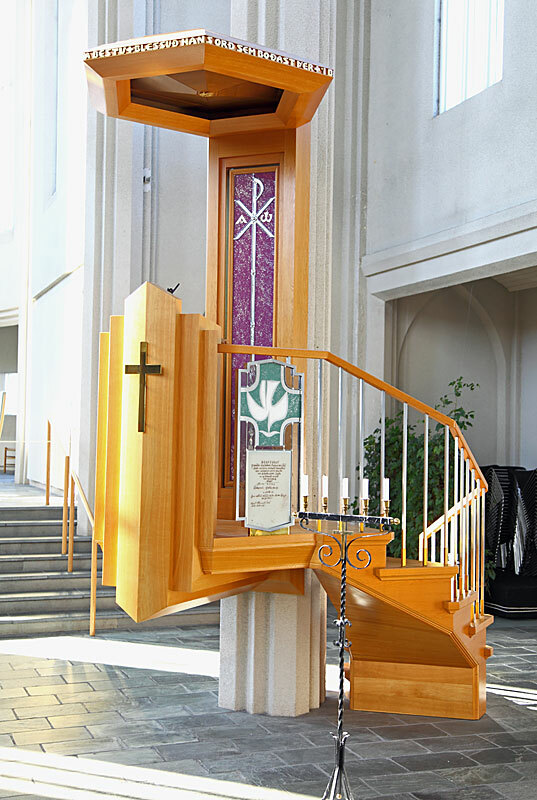 ​This book of hymns has been more widely published than any other book in Iceland. 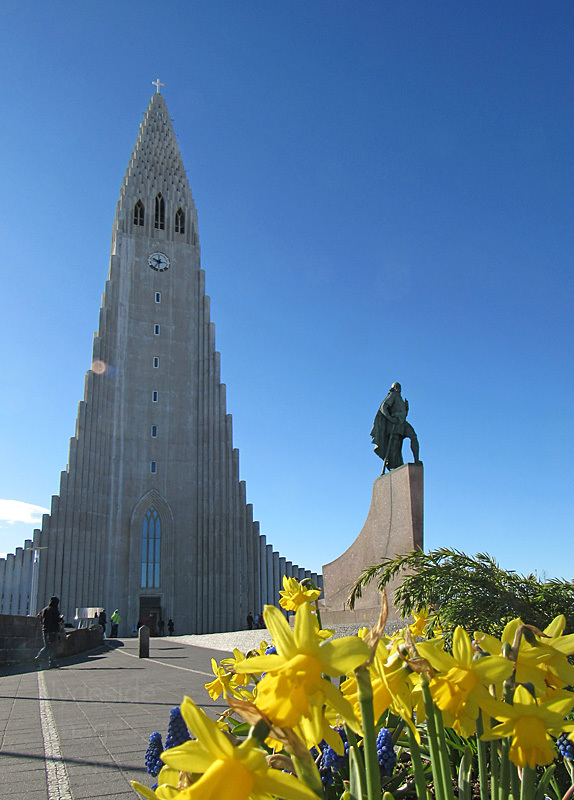 ​The statue of explorer Leif Eriksson (c.970 - C.1020) by Alexander Stirling Calder (1870-1945) in front of the church predates its construction. 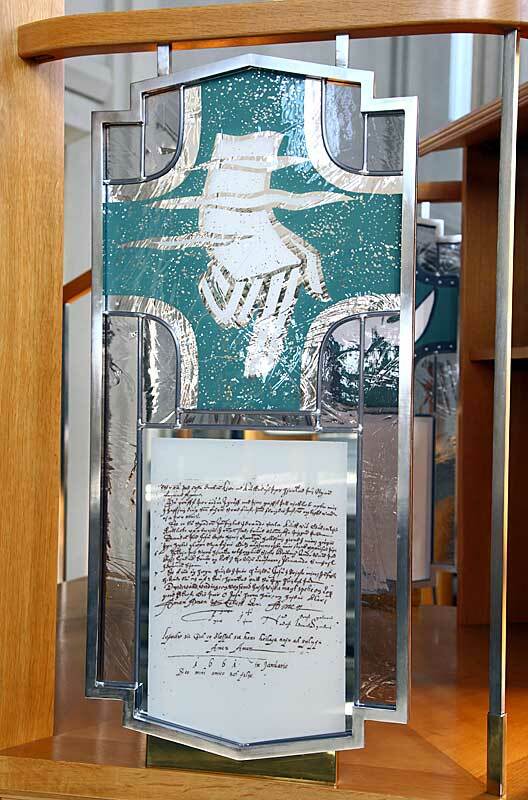 It was a gift to Iceland from the United States of America in 1930 to commemorate the 1000th anniversary of Iceland's parliament at Þingvellir. The plaque below the statue reads `Leifr Ericsson son of Iceland discoverer of Vinland the United States of America to the people of Iceland on the one thousandth anniversary of the Althing A.D. 1930`. This plaque is affixed to the wall above the main door. The big advantage for tourists, is that the viewing deck near the top of the 73 metre-high steeple is accessed via a lift and not stairs! The panoramas over the city are stunning with long lines of permanently snow-capped peaks forming much of the horizon. There is a great view of the harbour and the city's domestic airport (Keflavik, 50km away, serves as Iceland's international). Reykjavik Airport can be a busy place during the peak summer season (Air Iceland and Eagle Air can operate up to 40 flights per day) but I mostly saw local light aircraft doing circuits and a just a few Icelandic commuter props. The above slideshow features views from the top of the steeple. 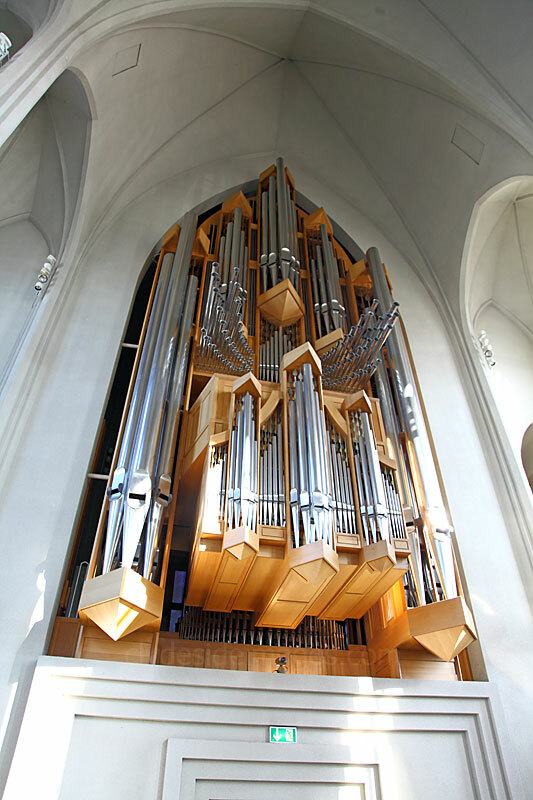 ​The pipe organ was made by the German-born Johannes Klais of Bonn is 15 metres high, weighs 25 tons and includes 5,275 pipes.